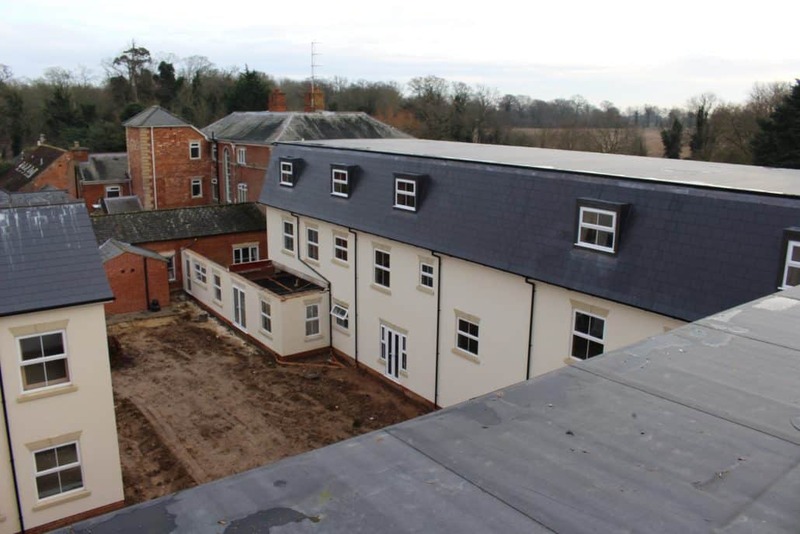 The project took place at Burlingham House, a discreet nursing home based just off the busy A47. 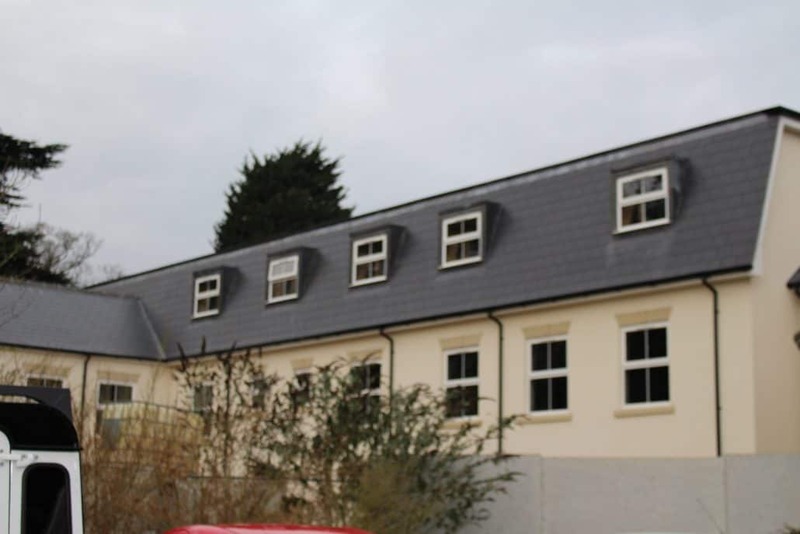 The site was being run by Mikey Knights of Y-Construction. 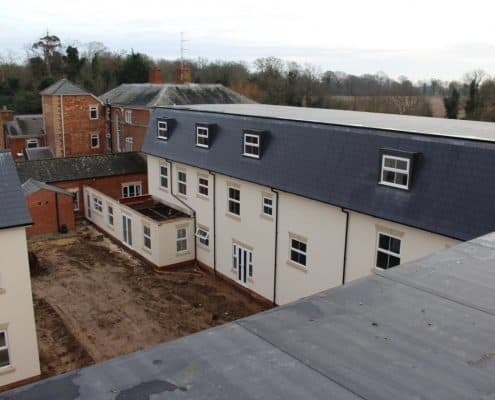 Y-Construction are a local company that offer a wide variety of building, construction and other services in the Norwich and Norfolk area. 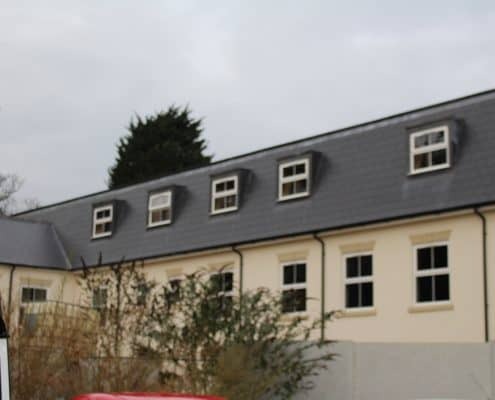 The challenge to this project was to install a system that fitted in with the surrounding environment, also due to the scale of timber used to create the building the traditional torch on felt wasn’t considered an option by the site manager with the bare flame always being a worry. 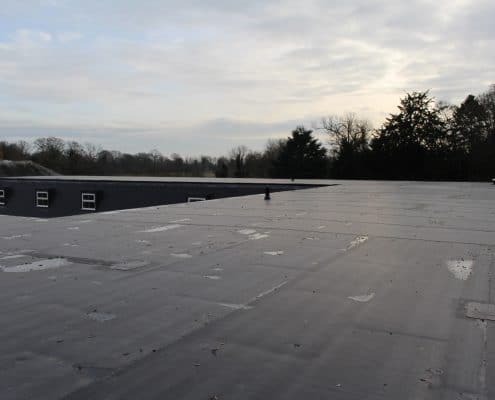 Another challenge was the size of the roof along with weather conditions, the roof was 1,000 square metres which meant that the system needed to be efficient and water tight through every stage. 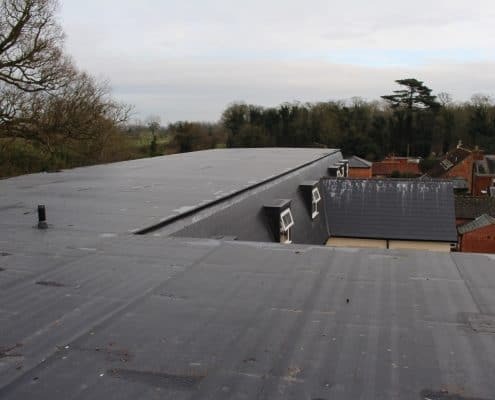 As all roofers will know the weather is the biggest worry throughout any job as it can change at any time especially in England. 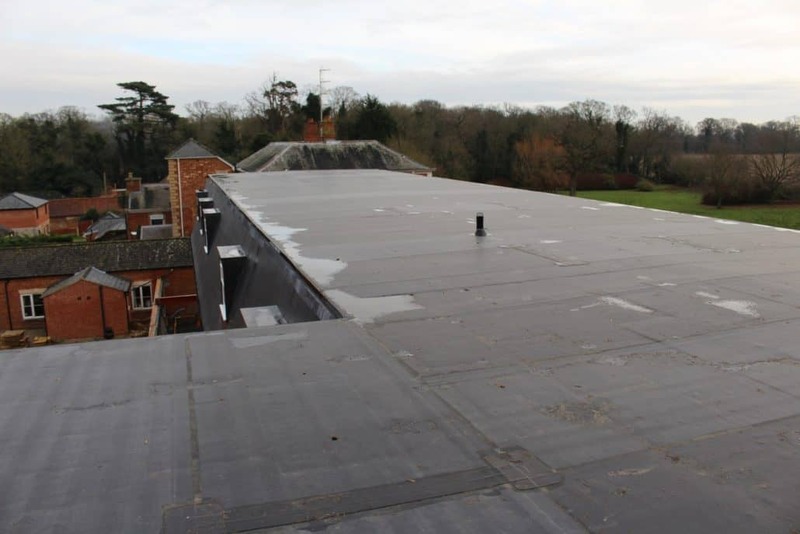 The solution to this project was a recently new product taken on by AJW being Flex-R’s DuoPly Fleece Reinforced EPDM Membrane. 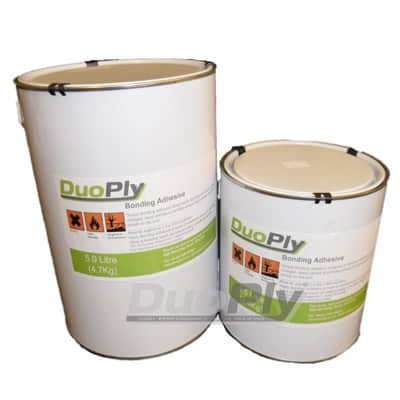 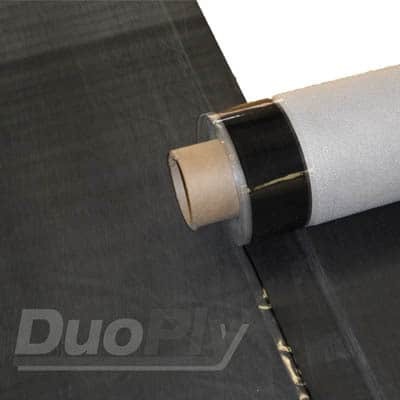 DuoPly comes in 1.5 metre wide rolls with a length of 12 metres, it is installed with a wide range of adhesives, primers and tapes. 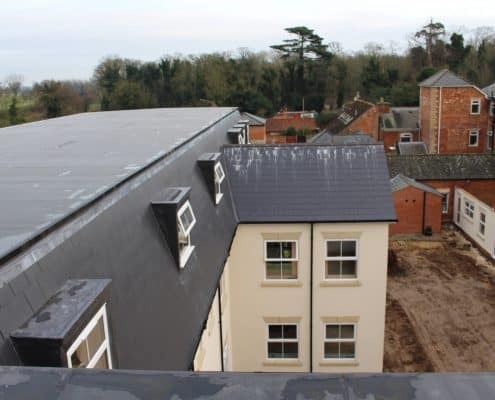 A member of the Norwich branch sales team arranged a meeting at Burlingham house with the site manager of Y-Construction, sales representatives from Flex-R and also a local installer D.A.Clements Roofing to offer this new roofing system. 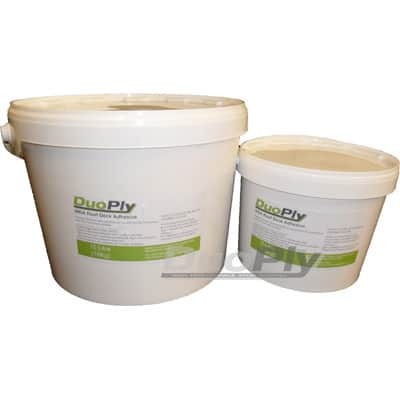 From there we got the ball rolling, Mark of D.A.Clements conferred with Y-Construction on dates and from this we got an order. 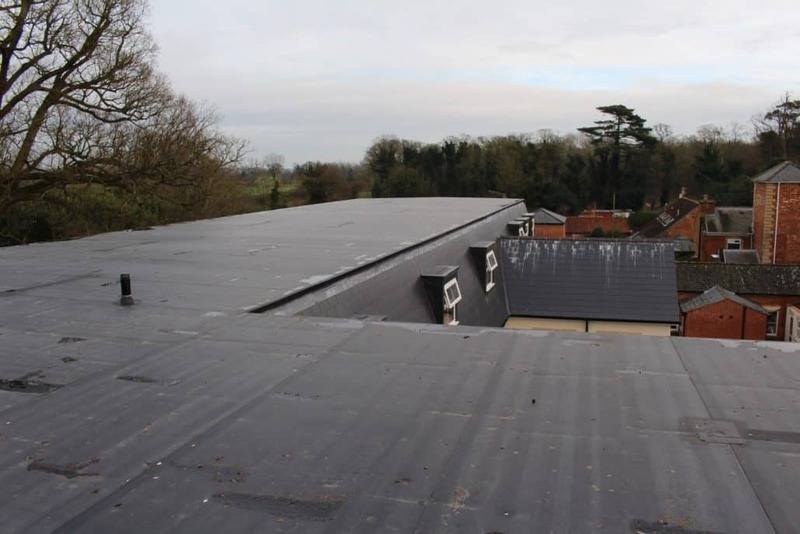 The outcome of the project was brilliant, due to the DuoPly membranes being able to be installed straight onto tissue faced insulation with polyurethane adhesive, costs were saved on OSB board. 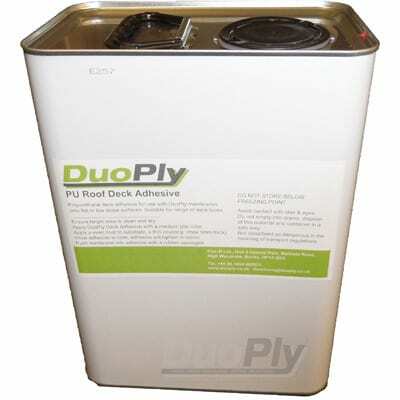 The system itself is efficient so no more than 3 people were required to install the membrane also. 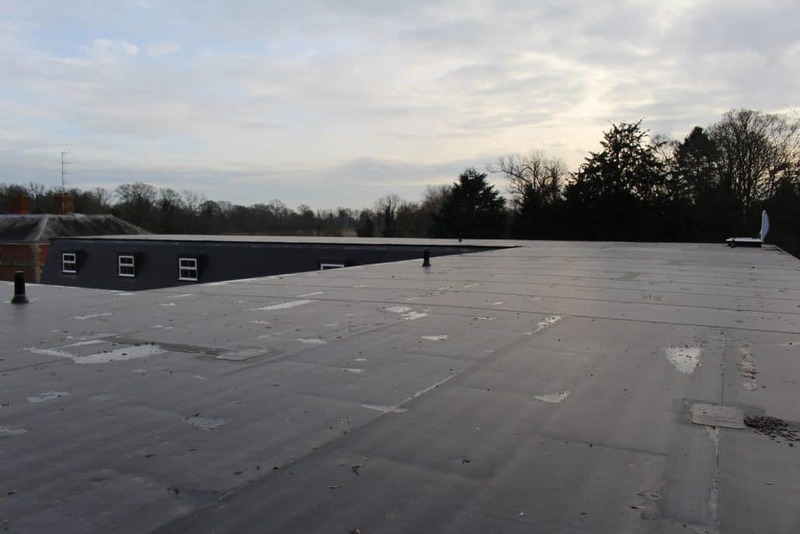 Thankfully the weather held out throughout the project so the job was complete within 2 weeks. 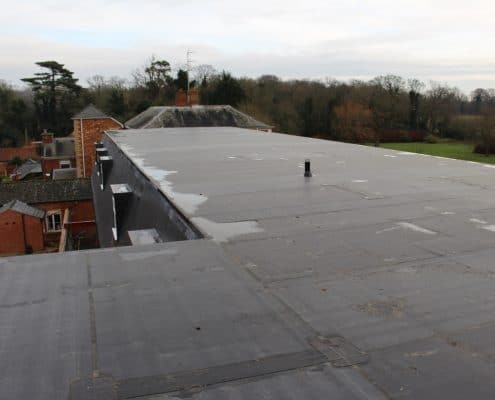 As you will see the membrane doesn’t look out of place at all, it fits in well with the other materials used on the site along with the surrounding environment. 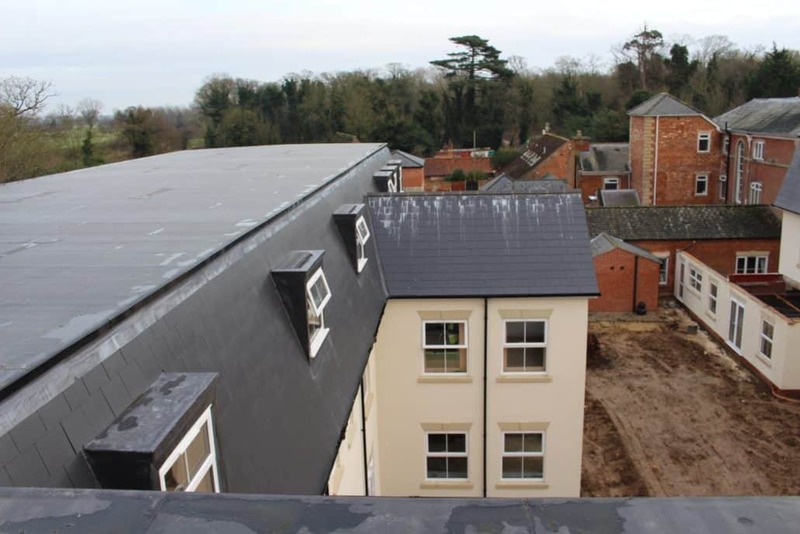 Please find below the details of the Roofer and Construction company involved in this project.